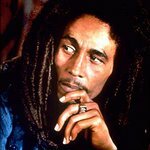 Bob Marley was a Jamaican singer-songwriter and musician who spread his message of peace and love until his death in 1981. Bob Marley has passed away, but we remember his charity work. Google trends for "Bob Marley"
We don't have any videos related to Bob Marley.